Ascension Parish is home to a diverse, vibrant and growing business community and a unique cultural heritage. The history of this parish is celebrated in the local community theater, vibrant artists’ association, beautiful plantation homes and several museums dedicated to preserving traditions. 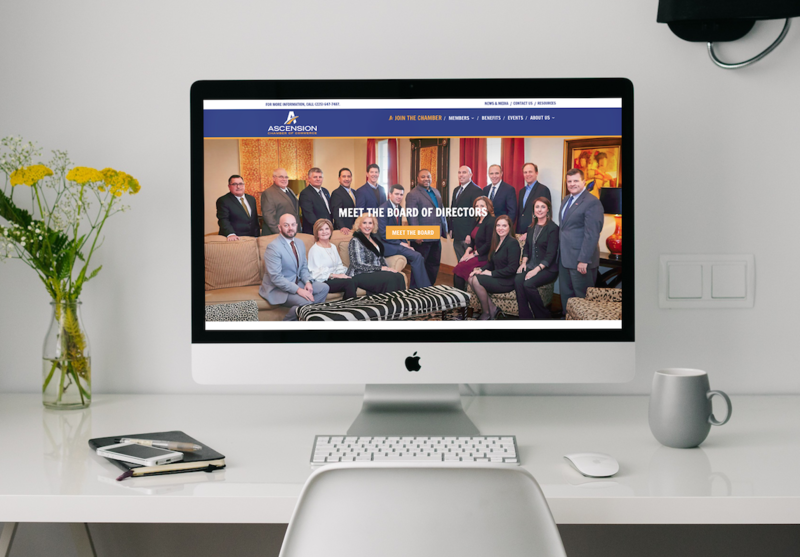 The team at dezinsINTERACTIVE wanted to display the community-friendly vibes this parish thrived on throughout the new Ascension Chamber of Commerce site. We opted for vibrant colors, down-to-Earth content and a simple navigation for both natives and visitors of Ascension to use. We also implemented a member login, a member search feature and a way for new people to sign up for a membership. We are happy to have been able to work with Ascension Chamber!